The Clout DL1 (aka the “down low”) is a great entry-level wax vape pen. It’s discreet design, effective dual quartz coil atomizer, and the affordable price tag makes this one very practical wax vape. The DL1 vape pen designed to vaporize your wax and cannabis concentrates. The DL1 vape pen has a stainless steel mouthpiece and black body. It is compact and discrete, allowing you to vape easily on the go. The DL1 vape pen can also be fully disassembled for easy cleaning and maintenance. The battery features a simple to use, single push-button interface. Recharge the battery using the included USB charging cable. The battery is also 510-threaded which makes it compatible with any standard cannabis oil vape cartridge. You can use this as your main battery for vape cartridges or keep it handy as a backup. The DL1 comes with two replaceable atomizers, which use dual quartz coils, held inside a ceramic cup. These coils produce quite a favorable vaping experience. 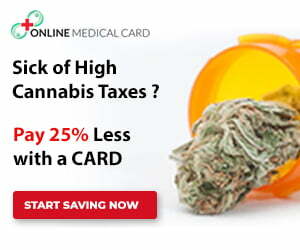 They are effective at producing sizable puffs and transfer flavor well from your wax other extracts. In testing the DL1 wax vape pen, we used a syringe of Sour Skittles wax concentrate from Magic Pipe. Using this wax vape pen is quite simple. It’s straightforward – screw all the pieces together and load the atomizer with wax using the included dab tool, before putting on the coil cap (which contains the sticky mess that vaping wax causes). The vape battery only has one push-button for easy operation. Push the button 5 times to power the battery on. 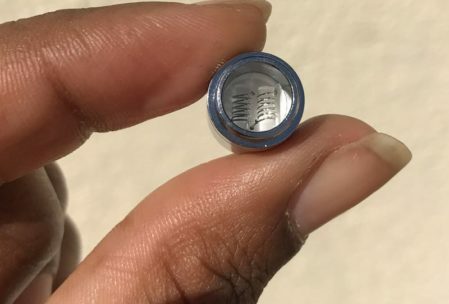 Remove the metal and coil caps, place the concentrate on top of the coils, put the caps back where they belong and you’re ready to vape! The hits are extremely powerful so we suggest holding the button down for a few seconds and then lightly pull to avoid too harsh of a hit. Also be sure to use a very small amount of concentrate with each use, the pen has extremely easy airflow heats up rather quickly. The hits can be extremely powerful. We suggest holding the button down for a few seconds and then taking a light pull to avoid taking too harsh of a hit. Also, be sure to use a very small amount of concentrate with each use. The DL1 wax pen has very good airflow and heats up rather quickly. 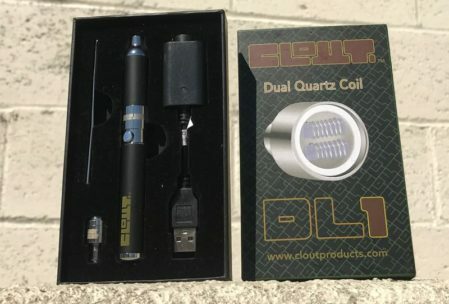 The DL1 Wax Vape Pen is affordably priced at only $50 and can be purchased directly through the Clout website. 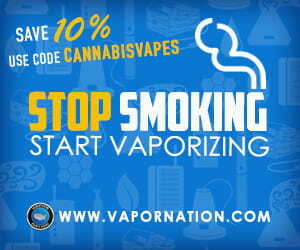 Use code VAPEREVIEW15 for 15% off your entire order. 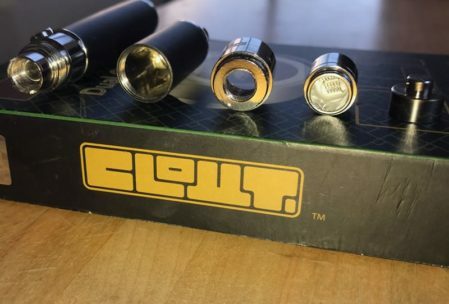 For more on Clout products, check out our previous review on the Clout Oozi Clip Vape Pen which uses a nifty glass dome allowing you to see your clouds build up with each puff! Clout also produces their own glass waterpipes and quartz bangers for dabbing. Follow Clout on Instagram @Cloutproducts for latest product updates. You may also be interested in similar wax vapes such as the Rokin Nitro, Linx Hypnos Zero and Puffco Plus vape pens.